GUINOBATAN, Philippines — Mount Mayon, one of the Philippines’ most active volcanoes, is as renowned for its beauty as it is feared for its destructiveness. Admired for its symmetry and classic cone shape, the volcano was named for a mythological fairy. But its smooth slopes and cute name belie its deadly nature: Inside is an enormous chamber, churning with molten rock and toxic gas. And it is ready to blow. 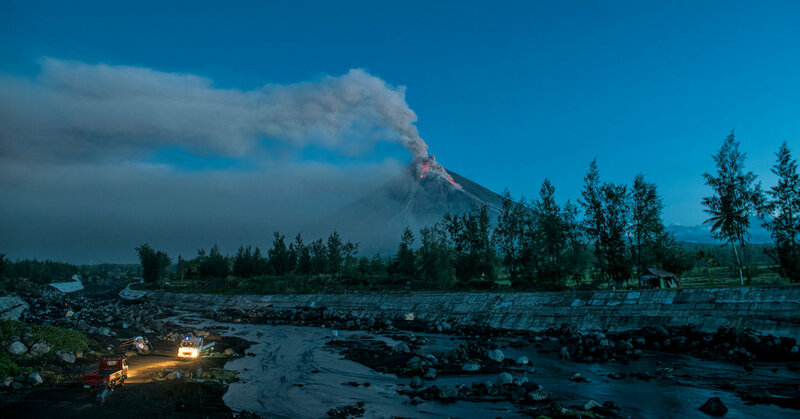 For two weeks Mayon has rumbled, belched plumes of ash and smoke and lit up the night sky with an eerie orange glow.